In the four years since its opening, the spacious coffee shop Kent Kaffe Laboratorium in central Copenhagen has become the second home of founder Erik Herskind, and he has given it a very personal and intimate touch. The kind of coffee that Agent Dale Cooper would describe as “damn fine” is clearly a massive passion of Herskind, who has a background and degree in wine. He long ago recognised the similarities between making and enjoying wine and coffee, and his main mission since opening has been to make the best coffee in town. 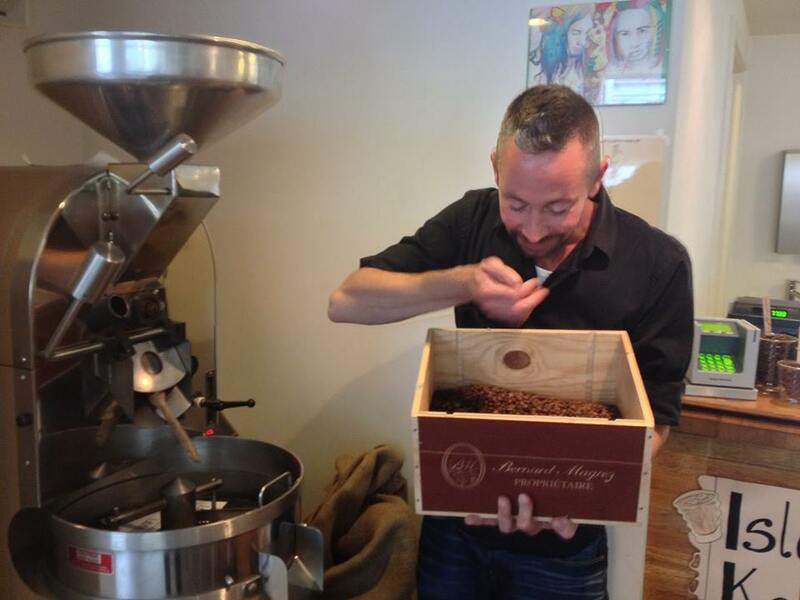 He combines old traditional coffee preparation methods and adapts them to the needs of the modern coffee addict. While 80 percent of the coffee that Herskind sells is espresso-based such as latte, or cappuccino, his real passion lies in filtered coffee. Herskind gets creative when it comes to making it and uses five different brewing techniques. 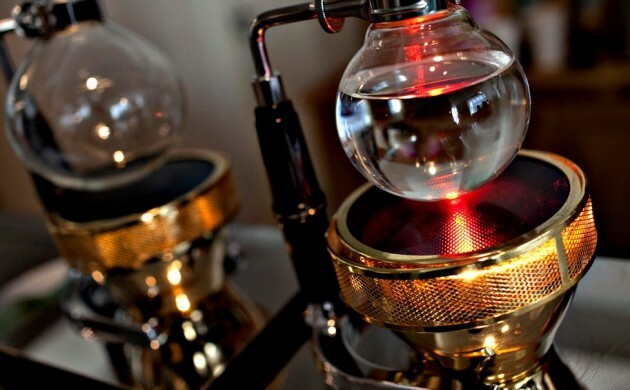 They allow for experimenting with temperatures, tools, brewing times and techniques, as well as employing tools such as a V60, syphon and aeropress (if you love coffee, you should be curious by now). Needless to say, in contrast to many other cafes, the coffee that is made at KKL is carefully brewed by the cup to satisfy individual tastes. All the coffee is roasted in the shop – a process that is more of a pleasure than a duty for Herskind, and in its own way, he confesses, mind-lifting. All the coffee served at KKL is purely organic and the beans are classified to the highest standards. The only non-organic drink served at KKL is bottled Heineken beer. The interior makes it obvious that Herskind has put his heart and soul in his café. Though the design is classic minimalistic – all the furniture is of a Danish design – the overall atmosphere is cosy and friendly. A big colourful red painting on the wall, the piano in the middle of the café and other carefully selected artwork – as part of exhibitions that change every quarter – contribute to the authentic and slightly intellectual ambiance. KKL is very popular among students who love to study here or just enjoy conversations with their friends (and enjoy the ten percent discount). Board games, books and magazines are provided, which makes KKL the prefect spot to hang out for long periods. For those who appreciate good coffee and are interested in how it’s made, KKL is an absolute must-visit. Herskind is always up for a chat, loves to show off his antique coffee utensils (such as this fancy, slightly magical glowing glass-bowl-thing) and share some of his expertise and good humour.